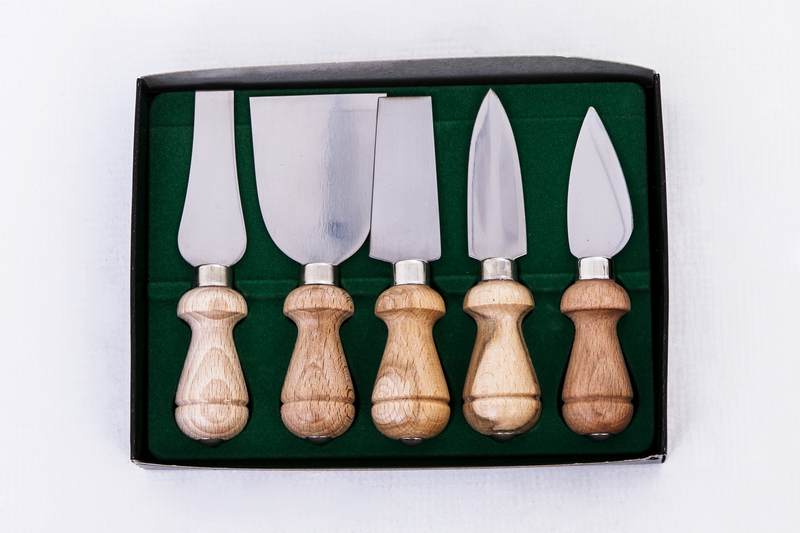 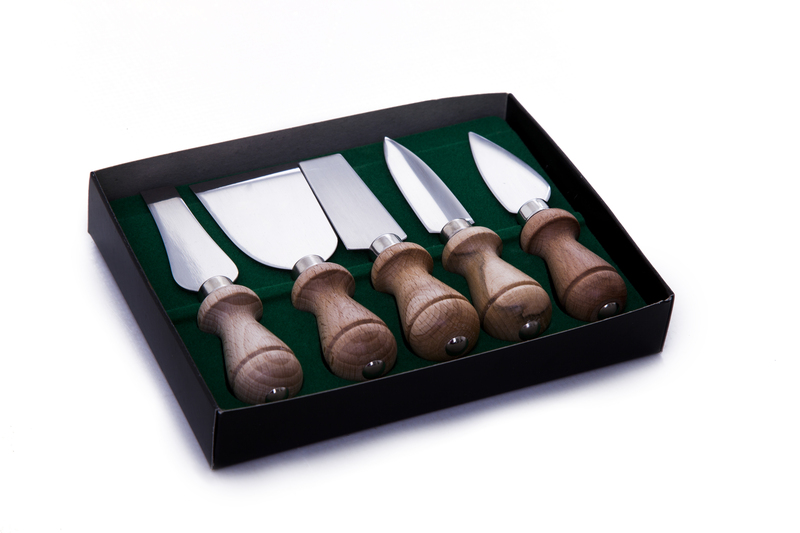 This wonderful Cheese Knife Set includes five different designed Parmesan knives. 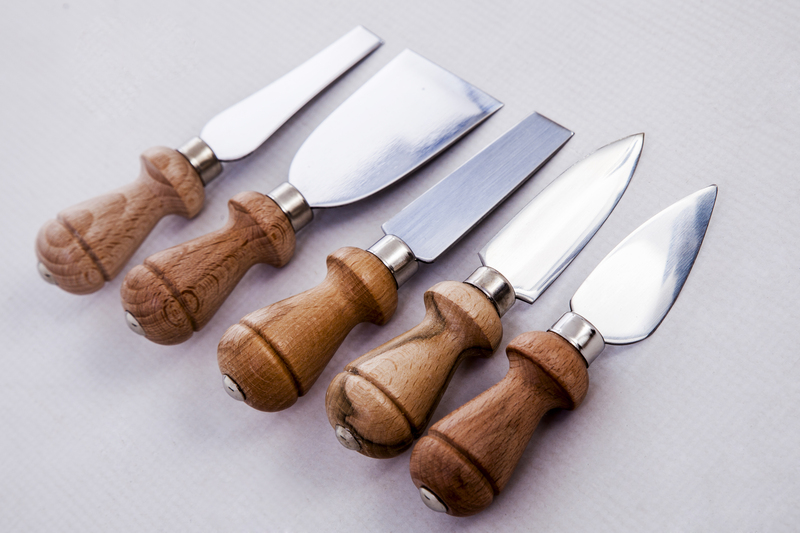 All of the knives are high-quality stainless steel with wooden handles. 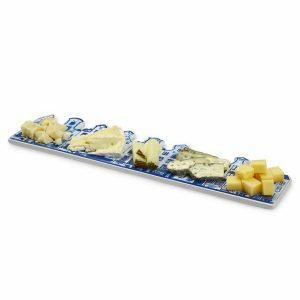 Presented in a great gift-box, this set is the perfect holiday or birthday gift for cheese lovers! 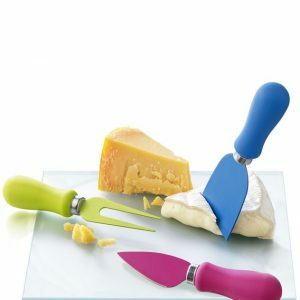 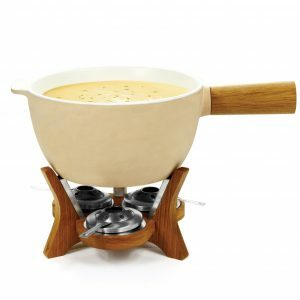 Explore Cheese Set. 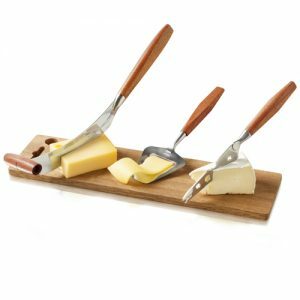 Board with 3 cutting tools!